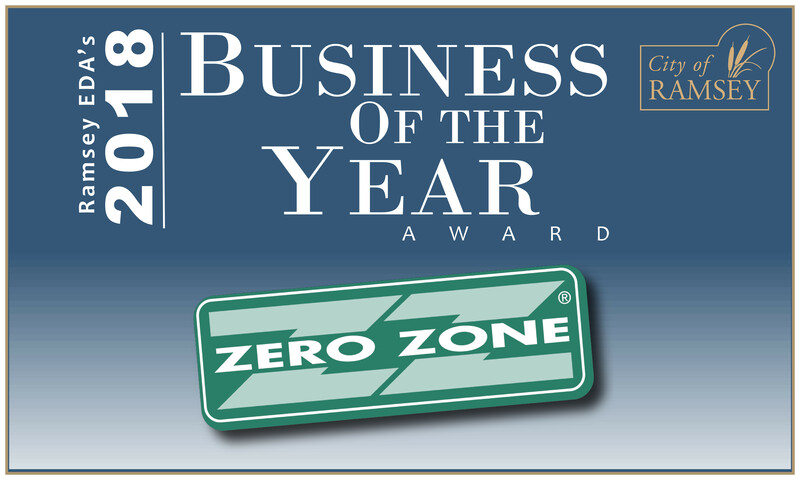 Business of the Year in Ramsey, MN | Zero Zone, Inc. Business of the Year in Ramsey, MN – Zero Zone, Inc. Logo courtesy of City of Ramsey Economic Development Authority. We are delighted to announce that the Zero Zone Refrigeration Systems Division in Ramsey, MN, has been selected as the City of Ramsey 2018 Business of the Year. The City of Ramsey and the Ramsey Economic Development Authority (EDA) will present the award at the Annual EDA Business Appreciation Golf Tournament in August. The Business of the Year is selected based on exemplary performance in the following criteria: length of tenure, number of employees, community involvement, and uniqueness. The Refrigeration Systems Division has been in Ramsey since 1974, and during that time has been an industry leader. We focus on innovation, quality, and responsiveness as we provide state-of-the-art refrigeration solutions to our customers. Since the beginning, Zero Zone has also been deeply connected to the community in Ramsey. Whether it’s by participating in local job fairs, sponsoring the annual Happy Days Festival, or supporting the Ramsey Volunteer Fire Department, Zero Zone desires to make a positive impact in its local community.